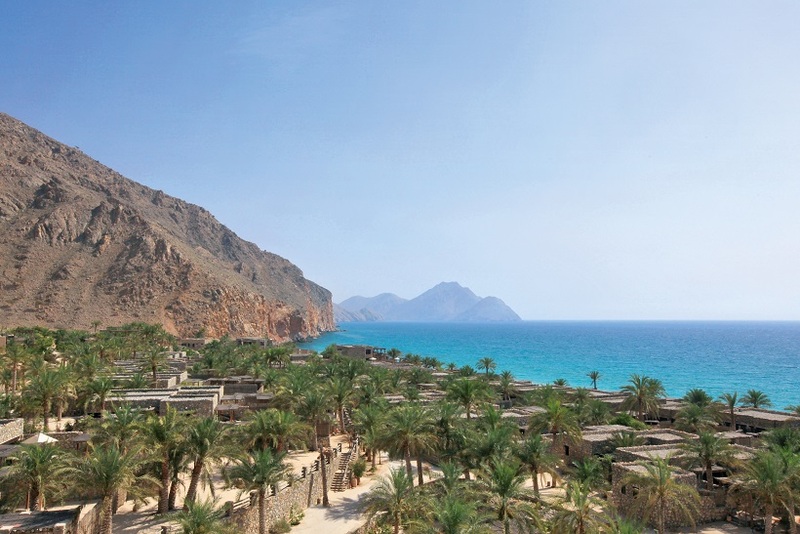 Musandam, Sultanate of Oman – December 8th , 2016 –Six Senses Zighy Bay is counting down to an ‘out of the ordinary’ New Year, where relaxation combines with festivities ideal for a family retreat or a romantic getaway. A range of jolly activities have been lined up by the team of experts at Six Senses Zighy Bay starting from December 23 until January 2, allowing guests to welcome the new year with a happy and peaceful mind, spirit and body. Let the resort take care of your little ones at the Chaica’s or Al Feetean’s Club while you sit back and relax. For little ones aged between four and ten years old, the resort will keep them busy at Chaica’s Club, with engaging activities like decorating their own snowman, face painting, and even baking festive treats. While youngsters aged between 10 and 16 will be energised and active through Al Feetean’s Club array of water and beach activities. The Six Senses Spa team at Zighy Bay is providing the ultimate packages for well-being through the combining innovative and ancient holistic treatments. The spa’s in-house experts and visiting wellness consultants will assist guests in regaining their physical and emotional equilibrium and have created a session to cater to both parents and children. The “Glamourous and Fabulous” package is for restoring a youthful look this festive season with a facial that combines the benefits of a trio of hyaluronic acid, marine extracts and collagen masks for visibly plumped skin with a radiant glow. Nail filing and colour polish is thrown in for this special occasion for either hands or feet. A “Middle Eastern Tradition this Christmas” is a Hammam experience not to be missed; combining traditional ingredients such as Arganrassoul from Morocco using Margy’s. This rejuvenating spa treat includes the signature facial massage with face lifting collagen mask and is completed with a relaxing hair hydration treatment and a scalp massage. The Festive Season would not be complete without a culinary journey at Six Senses Zighy Bay’s distinctive food and beverage venues. Whether it’s from a contemporary menu served at 962 feet above sea level at Sense on the Edge, traditional Arabic family-style Bedouin dining at Shua Shack or an extravagant Christmas buffet with an Arabic twist and live entertainment to spread the merry atmosphere. A Christmas festive menu has been specially curated at the Spice Market and Sense on the Edge, where a scrumptious buffet spread and barbecue corners will be prepped for the glamorous Gala Dinner at the salt water pool, for a spectacular countdown at the beach. Finally, guests can welcome the first day of the new year with sunrise yoga or hatha yoga at the resort’s pavilion for a healthy start and an optimistic year ahead. The most wonderful time of the year requires the most significant planning and preparation, at Six Senses Zighy Bay your attention will be with your loved ones and the resort’s team of experts will take care of giving you a memorable family gathering.